Quartz is the second most abundant mineral in the Earth's crust. 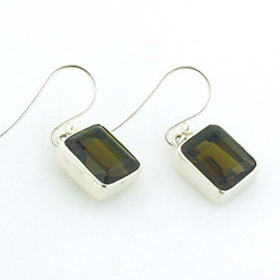 Smokey quartz (or smoky quartz) is one of the favourite forms of quartz. 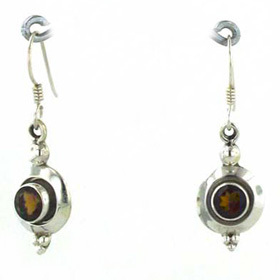 It has depth and character - the colour is a cool brown which when faceted displays an amber glint. 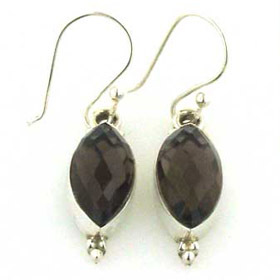 Wear your smoky quartz earrings with a smokey quartz pendant,necklace and bracelet. 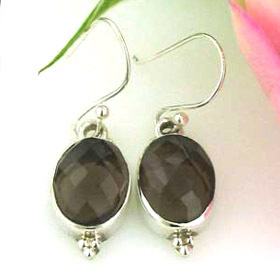 Oval faceted smoky quartz earrings in sterling silver. 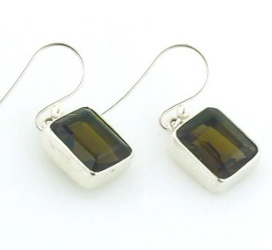 Smokey quartz and sterling silver droplet earrings.